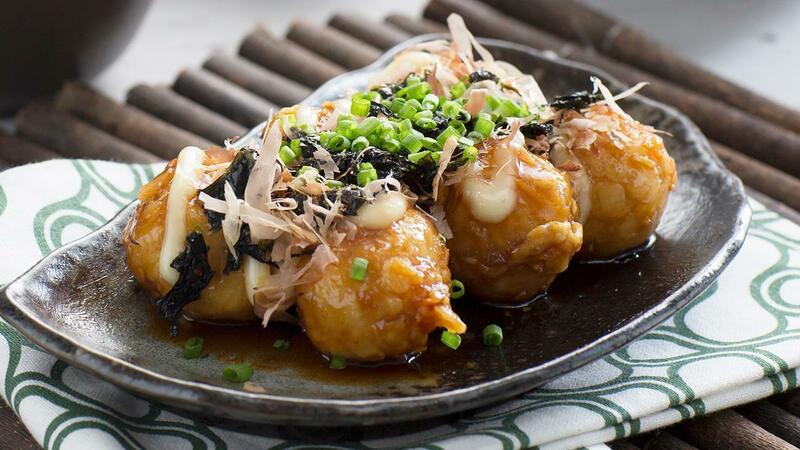 Level up this favourite Filipino dish with the inspiration of a traditional Japanese snack—Takoyaki! Heat the oil in a sauce pot. Sweat ginger until fragrant then add the mirin. Add the rest of the ingredients for the glaze then bring to a boil. Dip the squid balls in the wet batter mixture then dredge in the dry flour mixture. Deep fry until cooked and golden brown. Dip in the prepared sauce glaze. Arrange the squid balls on a serving plate. Drizzle with Lady's Choice Real Mayonnaise on top then garnish with bonito flakes, roasted seaweed and pickled ginger.